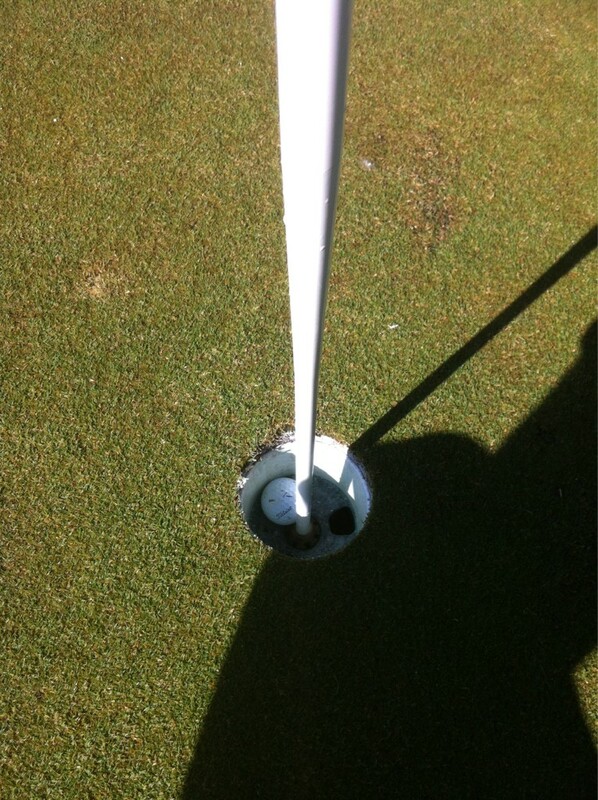 My First Ever Double Eagle! 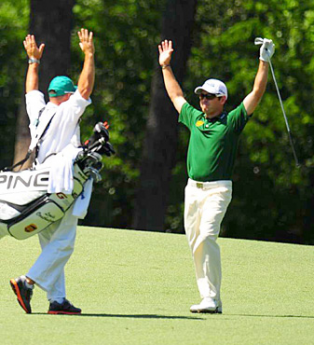 One day after Louis Oosthuizen’s amazing double eagle at the 3rd hole at the Masters I had one of the most amazing events in my golfing career. As if inspired by the professional’s amazing 4 iron from 254 I found a way to duplicate his amazing 2 on a par 5. That’s right! A DOUBLE EAGLE! It was an electrifying experience that I will never forget. It all started when I blocked my Drive about 290 down the right hand side on the 17th hole at the Ballyntyne Resort. The miss almost hit a group of ladies who thought that the cart path was a good place for a morning stroll. (Little did I know they would be my only witnesses!!!) For those that have not played the course it is exactly where you should be if you miss the fairway because of the ominous water hazard on the left hand side. The ball was sitting down in the rough a bit so I knew it was going to come out hot and with little to no spin. I lazered the distance off to 252 and started to plan a fade in my mind’s eye. When I saw the shot I wanted to hit I got my 3 wood out and made some fade rehearsals with my usual swing thought (3 quarter control swing). Then when I got up to the ball and hit the shot it felt like any other 3 wood and I assumed the worst when it started at the bunker that is placed just in front of the green. 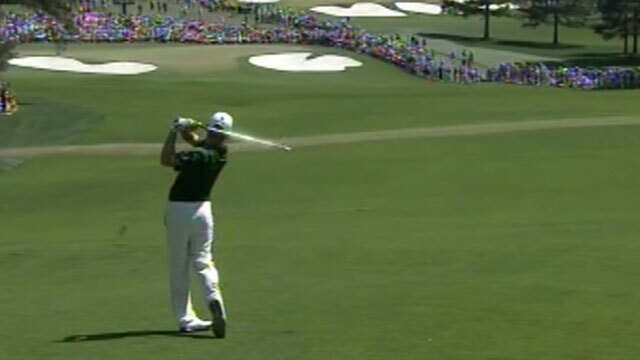 Too bad I couldn’t have hit the shot in the Masters like Louis did, but who knows if I can keep making some more double eagles I might give that a try next year! 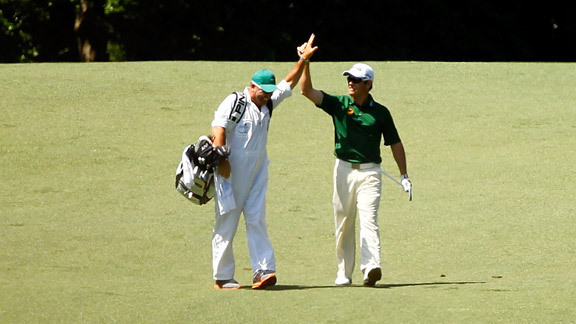 Congrats on your double eagle! That is very inspiring! And I thought teaching pros never get to play. Awesome! May the golf gods and the ladies continue their blessings of you, Andrew.